Formerly, the pharmacists of Asia and Europe used it by virtue of the theory of "signatures": as it was yellow it seemed totally indicated to cure jaundice and bile fever, a theory that has been confirmed by modern phytotherapy. It is valued by Ayurvedic Medicine as an energy plant, bitter, astringent, spicy, calorific, which is an excellent natural antibiotic, capable of acting on all the elements-tissues of the body with remarkable effects on the digestive, circulatory and respiratory systems. 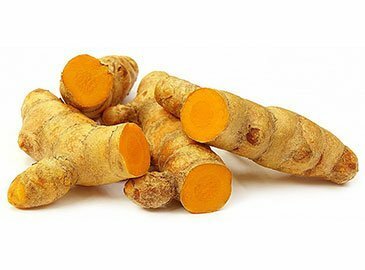 It has been shown that both turmeric and curcumin are very effective in the prevention and cure of skin cancer, inhibiting the effect of DNA oxidation on the epidermis and modulating the genetic expression of proto-oncogenes induced by various carcinogenic agents. Curcumin inhibits the production of IL-8 induced by Helicobacter pylori, which plays an important role in the development of gastritis, ulcer and gastric adenocarcinoma. Protection against stomach tumors. Curcumin can prevent the accumulation of beta-amyloid plaques, which correlates with Alzheimer's disease. Turmeric increases the glutathione content and its glutathione-s-transferase activity in the liver. By increasing the expulsion of bile acids by 100%, the solubility of bile, which corroborates its traditional use for gallstones, prevents the accumulation of fat induced by excessive lipid intake in the liver and adipose tissue. Curcumin is able to alleviate inflammatory problems related to multiple sclerosis, rheumatoid arthritis and psoriasis by modulating the cytokine signal, a type of proinflammatory molecules. This anti-inflammatory capacity is partly due to its ability to inhibit the synthesis of inflammatory prostaglandins. Able to reduce the growth of tumors and modulate secondary problems associated with cancer such as fatigue, depression or insomnia. Curcumin directly and indirectly inhibits cyclooxygenase-2 (COX-2), a crucial protein in the cascade of inflammation and has been linked to certain cancers. Historically it has been considered that this plant is safe during pregnancy and preclinical studies, has not caused abnormal development of the fetus, but it has been discovered that stimulates the uterus and menstrual flow, so it is required to use it in pregnant women only if it is strictly necessary, but with great caution. Since ancient times, there are many properties attributed to the extracts of Curcuma longa and its main component, curcumin. This plant has been applied for the protection and healing of skin, liver, ulcers, digestive disorders and intestinal parasites, as a remedy for poisons and snake bites and against various ailments. It is recommended to consume 2 to 2.5 g which corresponds to 60 to 200 mg of curcumin and 2 to 3 capsules daily. It is only for topical use. Those who present scabies should be treated under medical supervision. 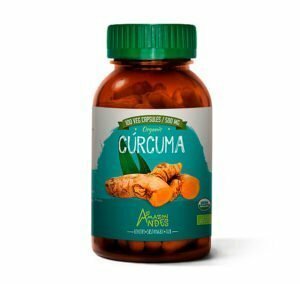 Curcuma or turmeric has different presentations according to their different processes, but has proven effective in each use. Phytochemical characterization of Curcuma longa L.